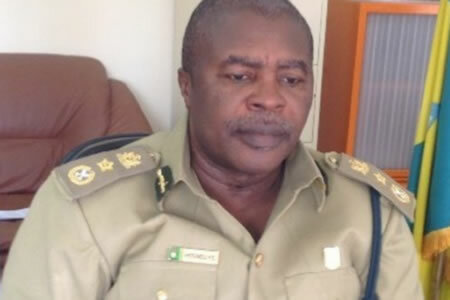 The Civil Defence, Fire, Immigration and Prisons Services Board has approved the suspension of four senior officers while the Controller-General of Prisons, Ja’afaru Ahmed in his capacity, also approved the suspension of 10 junior personnel of the prison. This followed the escape of two high profile inmates, Solomon Amodu and Maxwell Ajukwu who were standing trial for culpable homicide from lawful custody in Kuje Medium Security Prison on June 24, 2016. A statement on Monday in Abuja by the Prisons Service Public Relations Officer, Francis Enobore, said the affected officers and men include, the Officer in-charge of Kuje Prisons, DCP Musa Tanko; SIP Buhari Dogo; PIPs Stephen Edogbanya; Patrick Teru; IPs Usman Peter and Dennis Makum. It said, “The suspension was sequel to the outcome of the preliminary investigation into the incident and in consonance with Prisons Service Rules 030406 (2008) Revised Version; the officers were suspended from duty to allow for unhindered trial process. Meanwhile, efforts to recapture the fleeing prisoners in collaboration with sisters security agencies are on-going. This is in addition to tightening security measures in prison formations nationwide to forestall a repeat of such incident, the prisons service said. The statement said the CG solicited the cooperation of members of the public to volunteer useful information that could assist in the re-arrest of the fugitives.